A White Marsh icon will soon be retiring. 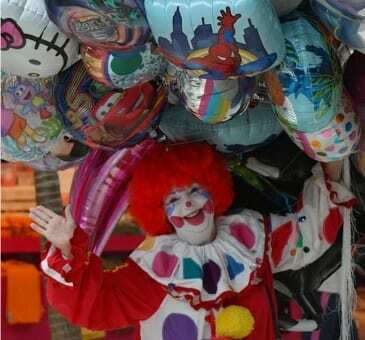 Miss Kitty has sold balloons at the mall ever since it first opened in 1981. For the past 37 yrs, she arrives at the mall early to paint her face, put on a handmade outfit, and inflate hundreds of balloons, working 10- to 12-hour days to bring smiles to mall patrons big and small. Miss Kitty’s last day at White Marsh Mall will be Saturday, June 2, 2018. She will be there from 11:30 a.m. to 8:30 p.m. on her final day.